Are you getting tired of walking in dark areas inside your home even when the sun is shining brightly outside? 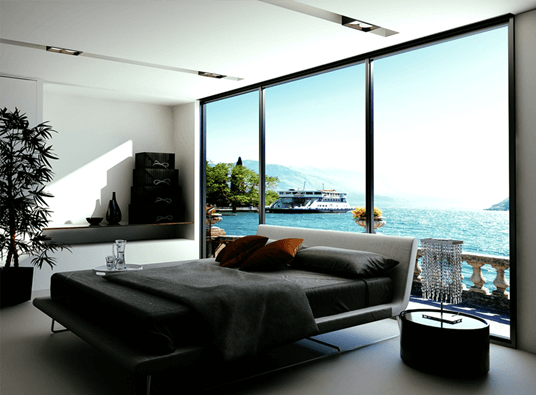 Are you looking for a way to bring more natural light into your home, especially in the bedroom? The best thing to do is to get replacement windows. But which style is the most appropriate for the bedroom? Where Can You Get the Right Windows? Casement Windows. This window style has minimal or no muntins to block light from entering, and its large glass pane will allow more sunlight in. For more comfort, these windows can also be fully opened to bring in air. Slider Windows. While these are similar to double-hung windows, they can also bring in more light with their large panes found on both horizontally moving sashes. Picture Windows. These windows feature a single center glass pane that allows more sunlight into any room. Though inoperable, picture windows can also provide the bedroom with beautiful outdoor views. Now that you know how vital windows are in providing natural light for your home, make sure you’re equipped with the right units from Alside. Kroll Construction can help you select the style that can brighten up your bedroom and make it more comfortable and visually appealing at the same time. We’re not just professional roofing contractors in Detroit—we’re window experts too! Learn more about how you can bring more natural light into your interiors by giving us a call today at (888) 338-6340.